Thank you to our employees for making Huff ‘N Puff one of the Top Workplaces. Welcome to the Huff ‘N Puff career page. If you’re looking to build a great career, you’ve come to the right place! Whatever your career aspirations are, from part-time work to management, Huff ‘N Puff offers all the challenge, opportunity, diversity and growth you’re looking for. Our approach is team focused; we value the input of each and every employee. If you are interested in any of the positions listed below, please click the Apply Now button to submit your information. Entry Level Sales / Marketing Position – Apply Now! Can you talk to people? Gutter Helmet is America’s Number 1 choice in gutter protection for over 35 years! Our growth has been exponential over the past several years due to innovative products, a strong customer base, and an aggressive marketing campaign, and we’re growing again! Great entry level sales (low pressure) sales experience! Looking for talented talkers who are hardworking and dependable and deserve to earn $25 per hour or more! WORK PART TIME AND ENJOY YOUR TIME OFF THIS SUMMER WITH MONEY TO SPEND!! PLENTY of OPPORTUNITY for ADVANCEMENT! THIS IS THE JOB FOR YOU!!! Apply now or call 518-356-3026 or email jobs@huffnpuffinc.com to schedule an interview! Event Promoter – Apply Now! Are you comfortable speaking to anyone? We need people with excellent communication skills to make great impressions and to generate interest with people who visit our showroom and stop by our displays at special events, fairs and assorted shows. Customer Call Center Representatives – Apply Now! If you are a hardworking and reliable with experience in customer service, you may be the person we’re looking for as we expand our staff. Answering phones/ responding to customer requests. Set product appointments and update customer status into computer system. Provide customers with product and appointment information. Experience in sales or marketing lead generation. General computer experience MS Office (Word, Excel). Highly organized, strong verbal/written communication skills. Customer-service oriented with an outgoing personality. Part time position – nights and weekends. Apply now or call 518-356-3026 or email jobs@huffnpuffinc.com to schedule an interview! Experienced Gutter Helmet Installer – Apply Now! IF YOU ARE – a hardworking, reliable individual who is looking to get paid as much as you’re worth, you are the person we’re looking for to expand our staff of Installation Professionals. WE OFFER – HIGHEST PAY in the industry, health care, retirement plan, paid holidays, paid sick days, paid vacation, steady YEAR-ROUND work. WE ARE SEEKING – Experienced motivated professionals. Must be punctual, willing to work on ladder and have no problem with heights up to 40′. Prior skill installing gutters is preferred. We will provide training for candidates who may not have the required experience but have SIMILAR EXPERIENCE, a CONSTRUCTION BACKGROUND, a good attitude and are motivated. DON’T MISS OUT ON THIS UNIQUE CAREER OPPORTUNITY!!! Crew Foreman – Apply Now! Try Something New – A Unique Opportunity! IF YOU ARE – a hardworking, reliable individual who is looking to get paid as much as you’re worth, you may be the person we’re looking for to expand our staff of installation professionals. 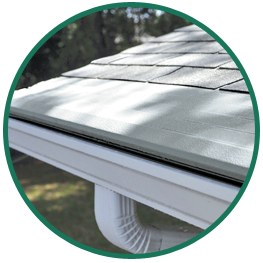 WE ARE – America’s Number 1 choice in gutter protection for over 35 years! Our growth has been exponential over the past several years due to innovative products, a strong customer base, and an aggressive marketing campaign, and we’re growing again! WE OFFER – HIGHEST compensation package in the industry, health care, retirement plan, paid holidays, paid sick days, paid vacation, and STEADY, YEAR ROUND work. Able to lift at least 60 lbs. We will provide training for candidates who may not have the required experience but have SIMILAR EXPERIENCE, a good attitude and are motivated. DON’T MISS OUT ON THIS UNIQUE CAREER OPPORTUNITY! Outside Sales Representative – Apply Now! Times Union #1 Top Workplace! Sales candidates will have direct sales and/or gutter, window or building products experience. Compensation plan includes health care, life insurance and 401K plan. Interested candidates should send their resume for consideration! Executes in-home sales process for providing solutions to gutter problems. Work towards meeting or exceeding individual and sales team goals. Follow established sales processes through to completion. Maintain a thorough knowledge of Renewal by Andersen products. Complete sales training, the re-class studies and formal class session. Ownership of appointments and commitment to convert sales leads into sales. Present a professional appearance and image to the customer. Fulfill the role of team membership to ensure overall customer satisfaction and sales performance. Ability and desire to learn and follow a specific selling process. Minimum of two years selling experience. Ability to build relationships through instilling confidence, sharing information, and meeting commitments. Skills of effective communication: clear/accurate messages and active listening. Ability to record accurate measurements and translate measurements into a visual layout and scope of work to be performed. Skills to organize and follow through in handling details, documentation, records, requests, and processes. Ability to self-manage time and activities to meet deadlines, goals, quotas, and customer requirements.